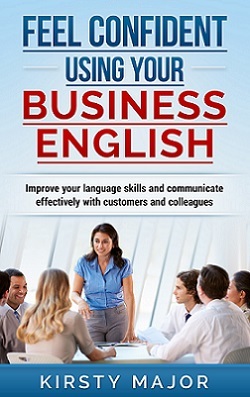 I work as an English trainer and most of my courses are one-to-one. However, this isn’t right for everyone. Some people enjoy the learning experience more when they are part of a group. It’s a problem if the group is so large that you never get the chance to speak, but some people enjoy smaller groups because they are less intense than one-to-one training. People can participate in discussions, but the focus is not on them all of the time, and this helps them to relax. Whether you want to help each other with tasks, talk about the new vocabulary, or get in some extra speaking practice, you have people in your group who have been using the same materials and working on the same things. You can have a one-to-one discussion with a trainer, but the group dynamic means that you are exposed to a wider range of views, can practise having discussions in a group setting and discuss ideas that are different from your own. You may have a lot of one-to-one meetings at work, but if you’re working together with others in a language group, you can practice the skills needed for collaborating, negotiating and working things out with a number of colleagues, partners or customers. A one-to-one training course will give you the chance to improve your skills individually, but if you’re part of a group, you can also get involved with group tasks or projects in which everything needs to be organised, delegated and discussed in English. This is a good skill to have if you’ll be doing similar tasks at work. If you’re part of a group, you won’t just be listening to a teacher and possibly some recordings of spoken speech. You’ll have the opportunity to develop your listening skills as you listen to other non-native speakers. Sometimes people will ask questions that you didn’t want to ask, or that you hadn’t even thought of. The answers to these questions will help you to learn new things. You shouldn’t judge the value of a course based only on its price, but it’s generally true that group programmes are cheaper than individual ones. So, in addition to the other advantages listed above, if you feel that you don’t have the budget for a one-to-one package, a group package is a great way to get access to training at a lower cost.